This video shows a multirobot system made up of 6 Khepera II mobile robots performing an escorting/entrapping mission. 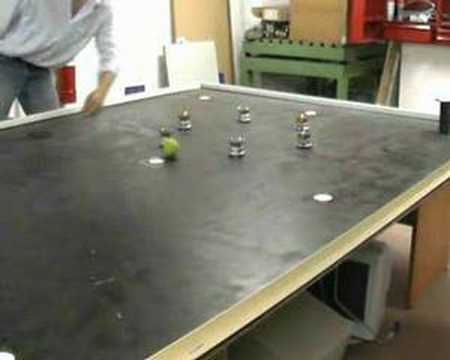 The robots have to surround an autonomous target (a tennis ball pushed by hand). The system is robust to the loss of one or more robots.